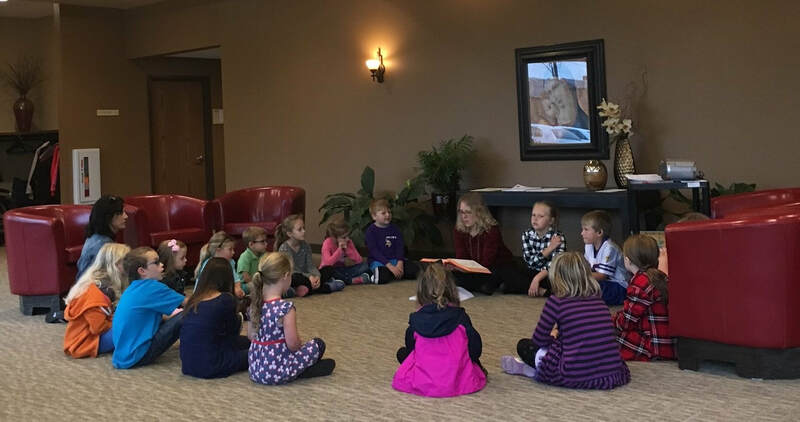 Liturgy of the Word for Children (LOW), for children who are ages four and five or in kindergarten, is offered during the 10 am Mass on scheduled Sundays. Children are dismissed during Mass between the conclusion of the Opening Prayer and the beginning of the First Reading to meet with their catechists in Heritage Hall. They then return to Mass at the time of the Presentation of Gifts to continue participation at Mass with their families. ​ Liturgy of the Word for children is a liturgical experience that opens young people to hear, experience, and respond to the Word of God. For more information, please contact the Faith Formation Office. Schedule changes are announced in the weekly bulletin.